Millions of Americans have neurogenic bladder. Neurogenic bladder is the name given to a number of urinary conditions in people who lack bladder control due to a brain, spinal cord or nerve problem. This nerve damage can be the result of diseases such as multiple sclerosis (MS), Parkinson’s disease or diabetes. It can also be caused by infection of the brain or spinal cord, heavy metal poisoning, stroke, spinal cord injury, or major pelvic surgery. 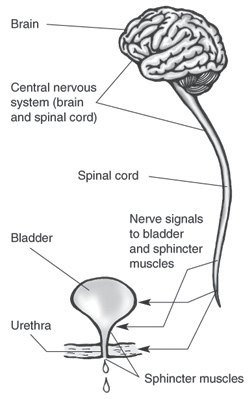 People who are born with problems of the spinal cord, such as spina bifida, may also have this type of bladder problem.